There are different types of iPhone out-of-sync audio problems. You may see issues with audio not keeping up or being faster than the video editing iPhone footages in Adobe Premiere Pro, recording a game video on iPhone screen, playing and watching online streaming via YouTube, Instagram, etc. Reasons for iPhone sound issues may vary, and sometimes it's hard to identify the cause. But here are things we can do to avoid iPhone A/V out of sync problem and get it work. Read on for more detailed iPhone video audio out of sync troubleshooting methodology and make the "problem-solving process" easy and quick. VideoProc Makes It Super Easy! - Recalculate Time Stamp (Force A/V Sync) brings iPhone out of sync audio back to normal. - Convert Variable Frame Rate to Constant Frame Rate to keep iPhone audio in sync. - Advanced iOS screen recording avoids iPhone screen audio lags/delays. - iPhone YouTube/Netflix/Instagram A/V out of sync fixed via 1000+ sites video download ability. - Cut, merge, rotate, split, deshake, denoise, edit iPhone footages, including VFR videos. - Fix iPhone out-of-sync audio in a click without having to make any adjustment. After shot a video via iPhone Camera app, users can notice clearly dropped frames and out of sync sound. It's disappointing that the sound of the recording on iPhone plays ahead of or slower than the image, no matter you play it in the Camera app, Photos app or download the footage to Mac/PC. It could happen to videos at 720p, 1080p, or 4K UHD. Currently, the most possible reason is the software bug, though there are some users believe it may be caused by a conflicated Blutooth. You can upgrade to the latest iOS to avoid iPhone audio sync errors in the future, but how to bring the out-of-sync audio back to normal? 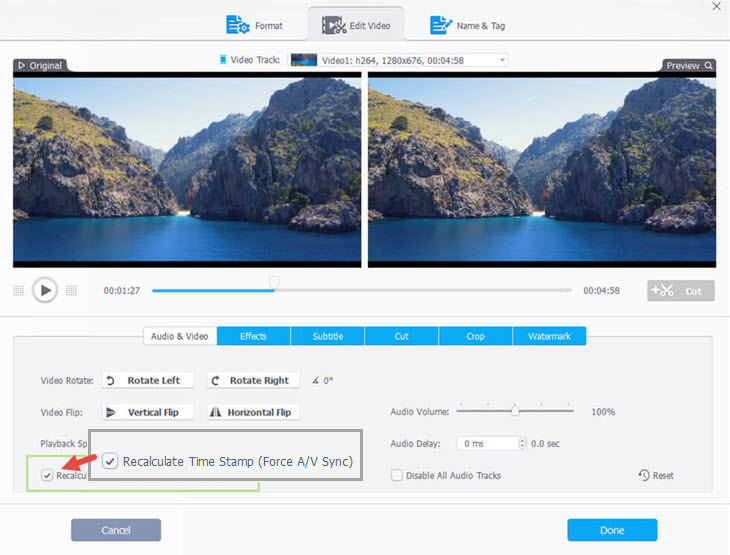 Use VideoProc to fix out-of-sync video and audio captured by iPhone permanently in a click. Step 1: Run VideoProc and click the Video button on the main interface > click + Video icon at the top toolbar and choose the source iPhone video file. Step 2: Click any button from the Edit bar below the video info to enter into the editing window. Click Audio & Video button and find the Force A/V Sync option. Enable the checkbox to fix the out-of-sync iPhone audio and video. Step 3: Click the RUN button to start processing syncing iPhone video with audio. That's it. It also works for GoPro video and sound not sync. ● Restarting the iPhone resolves the issue for some time. ● Try toggling Bluetooth off before recording. 2. iPhone Video Audio Out Of Sync in iMovie, FCP, Adobe Premiere Pro, etc. Possible Reason: iPhone Variable Frame Rate. The source videos shot on iPhone play well. 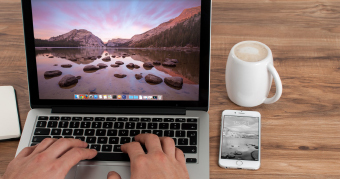 However, when editing in iMovie, Final Cut Pro, Adobe Premiere Pro, or other easy video editing tools, the sound is not in time with the video. Videos captured by iPhone use Variable Frame Rate for better compression and performance. However, the variable frame rate is not welcomed by most editors. Though the latest Premiere Pro CC 12.0.1 adds support for Variable Frame Rate, most others like iMovie, Final Cut Pro, Lightworks only support constant frame rate or have poor handling of Variable Frame Rate. This is the main cause for an iPhone audio sync issue and choppy video playback. To fix the issue, you need to convert iPhone footages from Variable Frame Rate to Constant Frame Rate. Step 1: Click the Video button, and select your source iPhone clip by clicking the + Video icon. Step 2: On the Target Format section, select a format you want to keep for the video from the list. Step 3: Click the blue RUN button to start processing your iPhone footages. Without any further ado, your iPhone videos will be changed from Variable Frame Rate to Constant Frame Rate by default. Related: Can't Play iPhone HEVC on Mac, Videos Not Playing on iPhone. iOS screen recorder is a welcome feature that allows Apple users to record video games, walkthroughs, activities on iPhone iPad screens. However, the iPhone recording audio delay has troubled a crowed of users. iPhone screen sound errors can be caused by a slew of reasons, including bugs of iOS 11 versions, limitations of recording iTunes and other DRM-protected stuff as well as hardware issues. Now there is no effective fix to iPhone screen recorder audio sync problems. 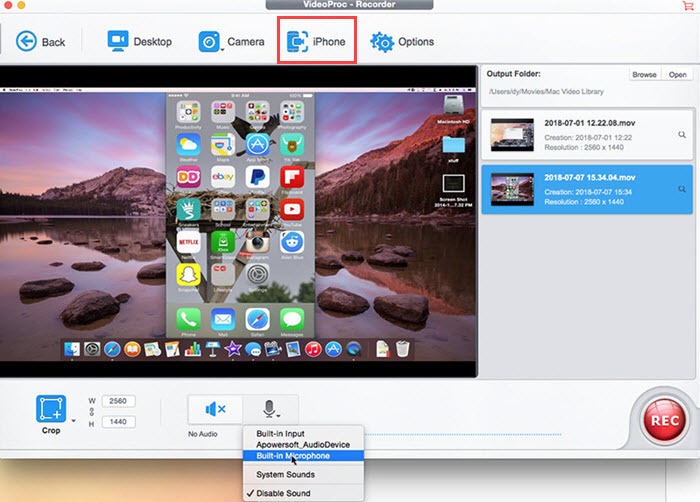 Before Apple releases an official solution, you can fix the out-of-sync as per the guide in Section 1 and try other iPhone screen recording methods like VideoProc. It gives you outstanding audio/video quality without the annoyances like red bars. Step 1: Connect iPhone with Mac via a USB cable. Step 2: Click the Recorder button on the main interface > click the iPhone button from the top bar and the iPhone screen will show up. Step 3: Select the full screen (default) or a custom area via the Crop option. Click the Microphone button and select the sound of the iPhone system, built-in microphone or other devices, or "No Audio". Step 4: Set an output folder and click the red REC button to record iPhone screen. 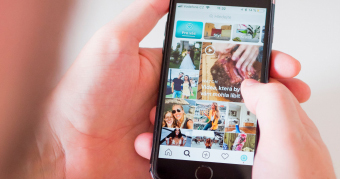 When using apps to watch YouTube, Instagram, Netflix, HBO, Epix, or other streaming videos on iPhone, some of you may experience picture and sound sync problems. Except the frozen images, out-of-sync audio and restarting errors caused by reasons like Google bugs, networks can be the main culprit. The most effective fix is to download the videos directly on your iPhone. Step 1: Click Donwloader from the main interface > click +Add Video button. Step 2: Copy the URL of the video in problem and click Paste URL & Analyze.. Step 3: Then select an output resolution and format you want. Then simply click Done. Step 4: Click Download Now to start the process and the videos will be downloaded to your computer as is. ● Many users said the issue only occurs when using Bluetooth headphones. Take the headphones off. ● Fast forward or reverse, and replay the video. Sometimes, it works for desynchronized video and audio. ● Adjust the router bands between 2.4 and 5.0. ● Restart your iPhone. A simple restart always does the trick. Many iPhone users reported audio delay with Apple AirPods and Bluetooth headphones. It's OK if you use AirPods to playing audio music. But if you use AirPods for games and YouTube video streaming, it may be painful. Use tips below to solve AirPods audio delay problem. ● Unpair AirPods and then pair with iPhone to see if the issue is gone. ● Shut down other applications using audio. ● Reset AirPods to Factory Default. This should make AirPods work properly. ● Try resetting your iPhone to fix AirPods audio delay. ● Go to the Apple Store or the third-party retailer to repair or replace your AirPods. Record iPhone Screen on Mac with High Quality. How to Crop/Zoom iPhone Video without Quality Loss.